The crowd roared as cameramen and reporters surged forward. Children stood on their toes to get a better look as their parents lifted their phones high to get the best picture they could. Charles Barkley had arrived. The Scottsdale Hilton was the site of the 45th Induction Ceremony for the Arizona Sports Hall of Fame on Wednesday. Inductees included Arizona Diamondbacks World Series hero Luis Gonzalez and former Arizona State University golfer Danielle Ammaccapane. But the unquestioned center of attention was Barkley, the enigmatic former star of the Suns. 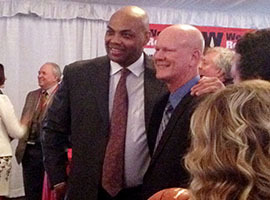 After walking the red carpet, Barkley took picture after picture with fans waiting in line for their turn with the NBA Hall of Famer. He spent time talking and laughing with each one, joking with an older woman who told him how much she loved him and telling a group of young boys how handsome they looked in their suits. For the inductees, it was a night of celebration and laughs but also one of reflection. On everyone’s mind were the four seasons Barkley spent on the Suns in the ‘90s. It was a unique time in the history of the state, when Arizona fans were blessed to watch not just a championship contending team but also one of the most popular and entertaining athletes in American history. Part of the legacy of the Barkley-led Suns is the excruciating playoff losses that prevented them from bringing a championship to Arizona. The Suns lost back-to-back seven-game playoff series against the Houston Rockets in 1994 and 1995. The most memorable loss took place in the 1993 NBA Finals, when Phoenix fell in six games to Michael Jordan and the Chicago Bulls. The Suns clearly hold a special place in Colangelo’s heart. The team was the first professional sports team in the state, and Colangelo spent time as the head coach, general manager and owner. The Suns own the NBA’s fourth-best winning percentage of all time but have gone all of their 47 years without a championship. Oddly, a different sports franchise brought Arizona its first major championship. The hit that won the 2001 World Series is arguably the greatest sports moment in Arizona’s history. And the man who hit it understands what it meant to a state that had waited decades for a title. Also included in the Hall of Fame class were award-winning sports journalist Joe Gilmartin and Cotton Fitzsimmons, who passed away in 2004. Fitzsimmons had three separate coaching stints with Phoenix during his 21-year career. His absence was a bittersweet element to an otherwise celebratory evening. Colangelo took a deep breath before trying to explain what Fitzsimmons meant to the Suns as a franchise and to him personally. 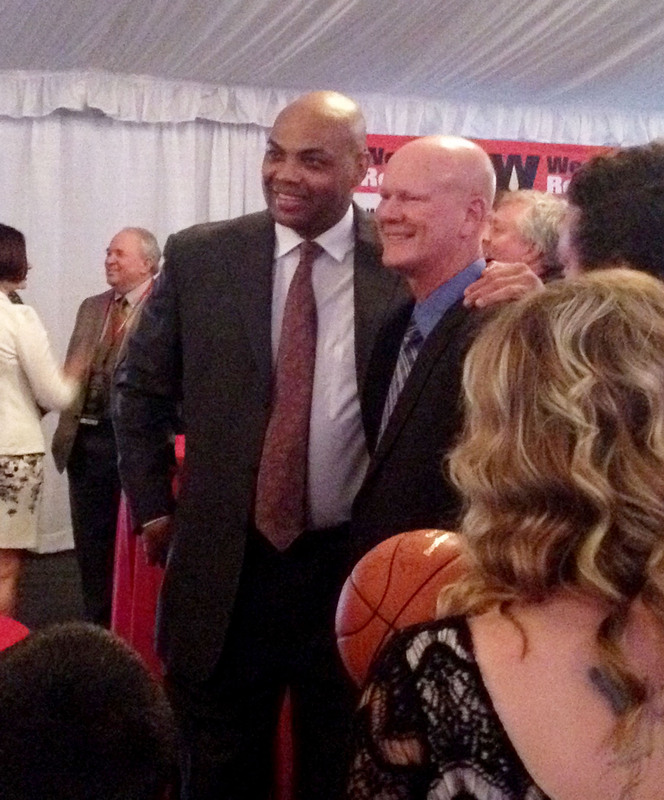 Charles Barkley interacts with fans at his Arizona Sports Hall of Fame induction.